Sorry I’ve not updated this blog for ages!! Been working on the van and there are lots of one man spanner heroics to report about! Time has been at an absolute premium and even though I am on the internet most of the time I hardly get a chance to do anything outside my web design work. 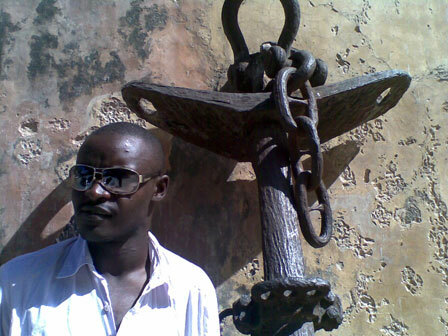 Anyway, this past weekend I made a trip to Mombasa (a wonderful coastal town in Kenya). 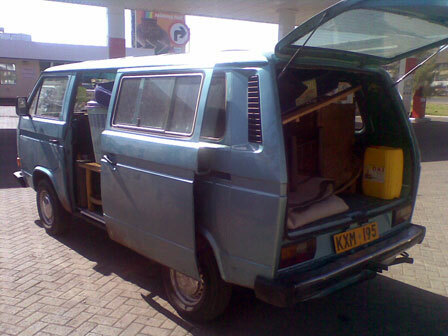 My friend Eric, whom I’ve mentioned in previous blogs was moving to Mombasa for a new job and we enlisted the services of the vanagon to move his modestly stocked 2 bedroomed house. We also had a motorbike to ride and so we had decided to split driving/riding duty. The idea was the van sets the pace at about 100Kph and whoever rides the bike keeps up. I started the first 125km since I needed to feel the van considering the night before we finished servicing it and preparing it for the trip at around midnight! But all was well. I then did the next 250km on the motorbike and in the hot terrestrial radiation of the Taru desert that is no mean feat. The rest of the journey was straight forward, just leaking oil which I shall discuss in my next post once I get to the bottom of it but the issues are I decided to use SAE 10W-40 instead of SAE 20w-50 that I usually work with and i also suspect the problem could be with other things like the flywheel oil seal. Will report on that soon. Well, we got to Mombasa and headed straight for the best restaurant in Kenya in my opinion. Its a wonderful swahili restaurant that specialises in swahili dishes only. Its called Tarboush try it when in Mombasa. Being us we also decided to head for the beach instead of the house, with a fully loaded van! Having been raised in the mainland, the beach still fascinates me as though I am a small kid. We eventually retired way past midnight and we were quite worn out. Next day, unloaded the van, got the stuff in the house and repeated the previous evening’s activities – Tarboush then the beach, albeit a small detour to the historic neolithic Fort Jesus for some tourist antics! 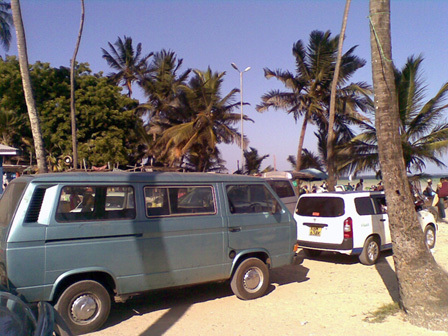 I’ll always treasure this picture of the vanagon in the sand just a few meters from the beach. Nothing techy in this article but normal business should resume soon!